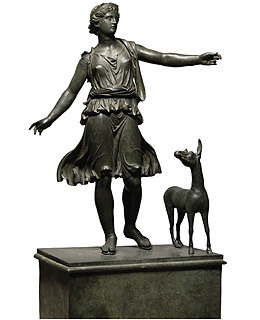 When construction workers first unearthed this 2,000-year-old bronze sculpture in Rome in the 1920s, they never could have guessed it would fetch the highest price for any relic  indeed, for any sculpture, period  ever sold at auction. "I'd say it's probably the best antiquity I've sold in my 37 years at Sotheby's," a director at the famous auction house said of the 36-inch statue of the Goddess of the Hunt. And to think, some curators predicted it would only sell for $7 million.